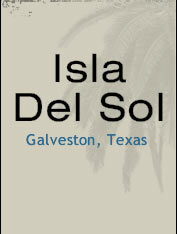 Isla Del Sol has been one of the best kept secrets on the West End of Galveston Island. Established in the mid 80's, Isla consists of 316 lots - dry, canal and waterfront - all offering lovely views of either the Gulf of Mexico, Galveston Bay or the natural wetlands. Isla also has its own private boat launch and fishing pier. 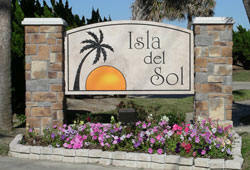 Our "Little Island in the Sun" is located 16 miles west of 61st Street in Galveston. It is ideally situated for great fishing in the surf or the bay, as well as bird watching. Its location also offers easy access for off shore fishing. For further information, you may contact our management company or any of our board members.